NA Inspired Wooden Key Fob! 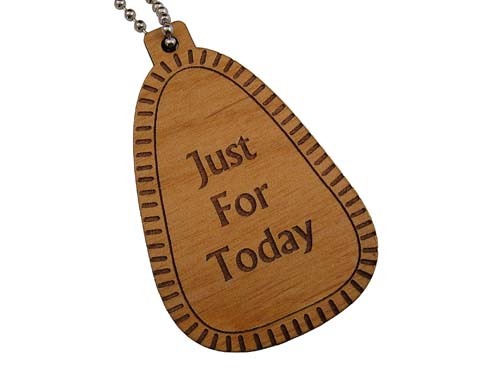 Inspired by our fellowship's plastic key fobs, this beautifully laser engraved wooden key tag is perfect for the new-comer! "Welcome" and our classic symbol on the front side with "Just For Today" on the reverse side. Each key fob comes with a small ball-style chain. ...something a little different from your friends at WoodenUrecover.com! Have an idea for a unique key fob? Want something a bit more personalized or customized for your group or event? Contact us! We can make it happen! Contact us regarding bulk pricing!